It is always a great time to send a loved one a gift and let them know you are thinking of them! 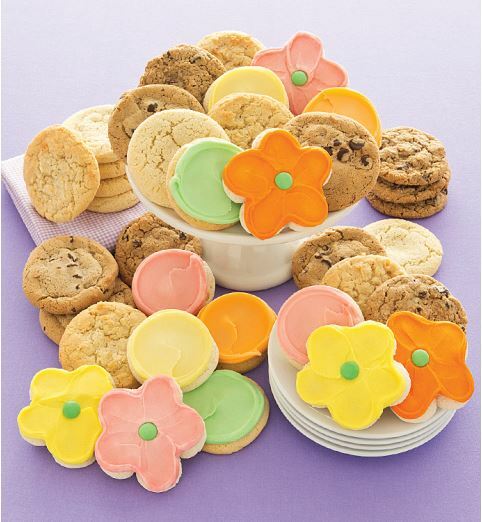 How about this Cheryl’s Springtime 36 Count Cookie Gift Box for only $36.99 shipped through April 4th or while supplies last? This is a $62 value and your gift includes an assortment of 36 buttercream frosted cookies (including their flower shaped cut-out cookies) and a classic gourmet cookie assortment including chocolate chip, sugar, oatmeal raisin and lemon coconut. Make sure you take a moment and sign up with Giving Assistant so you can earn an additional 6% cash back on your purchases! Click HERE to activate your 6% cash back offer from Cheryl’s!! !